Poor circulation made everything from meal prep to cleanup a chore for the owners of this 1980s kitchen. 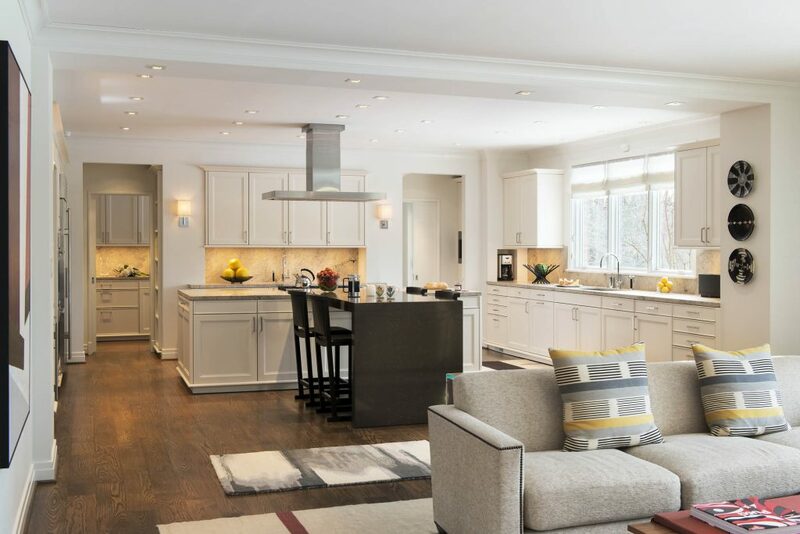 The solution came in reconfiguring the space into distinct work zones—cooking, cleaning, entertaining, even coffee—and opening up the kitchen to adjacent rooms. 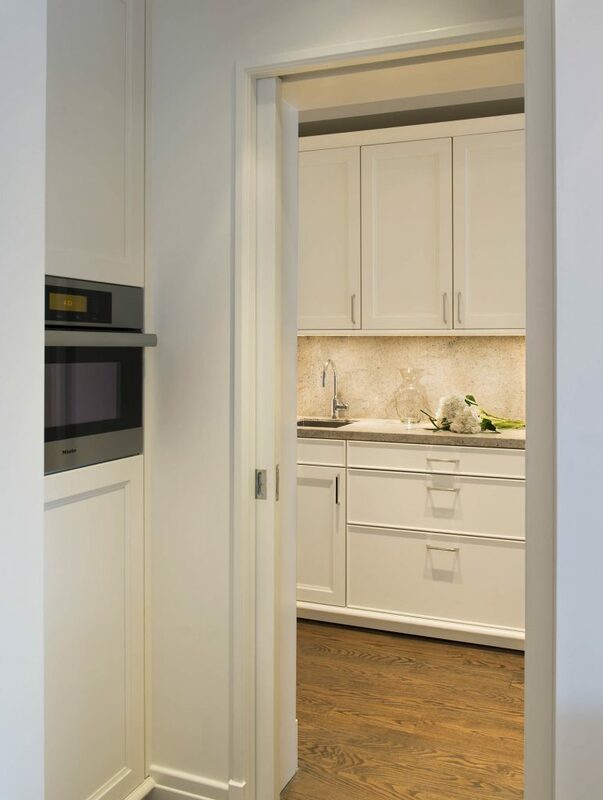 Magnolia white cabinetry, stainless appliances, and creamy granite add flair and function to this kitchen’s enhanced flow. The working island, complete with a sleek bridge table in contrasting quartz, provides a perfect perch for breakfast and the morning news. A new butler’s pantry now doubles as a mudroom behind discrete pocket doors. The remodeling result: no-nonsense circulation with contemporary yet classic appeal. Featured in Professional Remodeler, 2014 Chrysalis Awards, July 2014. Awarded 2014 Chrysalis Award: National Award for Kitchen Remodel over $100,000.